Building and looking for that dream kitchen? 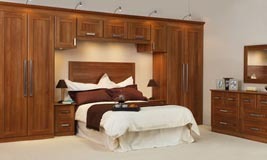 Renovating and looking for an upgrade? Have an idea of what you want but don't know where to get it? We are a small Dublin based kitchen and wardrobes manufacturer and have been in business for the last 30 years we can offer an affordable range of kitchens and wardrobes. We have what you're looking for. With a wealth of experience in the business and countless cabinets and units to choose from, we can give your kitchen the spark of life it needs. 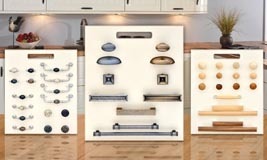 We have everything you need for the perfect contemporary or classic kitchen. Kitchen cabinet doors available in quality timbers like oak or in vinyl or high gloss vinyl - for an exciting new kitchen design. 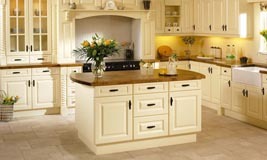 For customers wishing to revamp a kitchen, we can supply a wide selection of replacement kitchen doors. 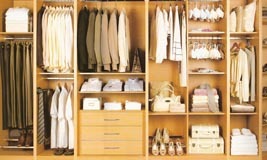 We stock a range of cabinets and units in a wide variety of sizes, colours, and shapes. Want to go for a modern look or something more retro? We have the answer for you and cater for all tastes. Ensuring your kitchen has the look and feel you are hoping for is a crucial decision when commencing a new build or renovating and we promise that our staff will help you find exactly what you are looking for.